Jesse Block is a director/creator of unique video programs. Growing up on the 23 mile island of Manhattan, he was inspired by the Saturday dress rehearsals of the Ed Sullivan Show that had an opportunity to witness as a young child. As a teenager, he packed up his ambitions, and moved to San Francisco, where he established himself as a televisual producer in the vibrant epicenter of the new technology of the 21st century. Working with a diverse assortment of clients, Jesse has directed a wide variety of programs for broadcast, corporate, commercial, educational and online outlets. With a special fondness for music-based programs, he’s produced and directed quite a few music documentaries. “Electric Guitar” is the story of John Cipollina, the dynamic lead guitarist of San Francisco’s Quicksilver Messenger Service, which will soon be reissued as part of a DVD box set on this iconic musician. “Brotherly Jazz” is the jazz documentary on the Heath Brothers- Percy, Jimmy & Tootie, which has played in 12 film festivals and received some rave reviews. Jesse produced two documentaries on Hot Tuna – “Live at the Fillmore” and “25 Years’ and Runnin’- Live At Sweetwater”- which was a New Years’ Eve special for KQED PBS San Francisco in 1994-1995. Some of the other programs Jesse has produced and directed include concert videos of David Bromberg and His Big Band at the Count Basie Theater in Red Bank, N.J., Todd Rungren live at the Martime Hall San Francsico, and Merl Saunders- “Blues From the Rain Forest” program, among others. 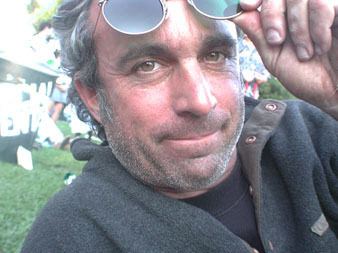 For the broadcast market, Jesse has directed programs’ for BET “Jazz Central” (1994-2002), SciFi Channel “The Anti-Gravity Room”(1994-2000) and for the San Francisco ABC afilliate, a late night program “Live From the Starlight Room,” which featured early performances by Train and the Donnas.